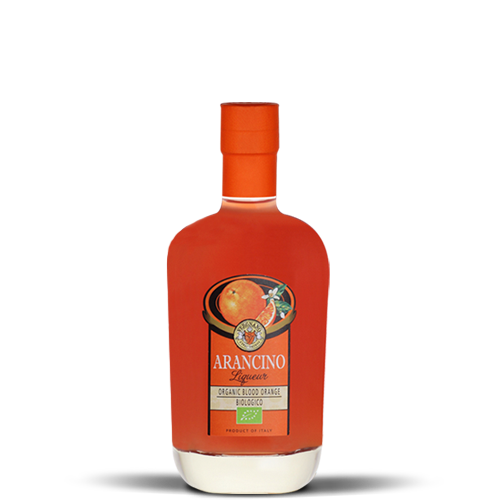 An authentic Vergnano family recipe, Vergnano Arancino Liqueur is an organic artisanal blood orange liqueur made from native Sicilian blood oranges that are hand-picked at peak ripeness. Made with organic fruit juice, Tarocco, Sanguinello and Moro blood ranges are organically grown and cold-pressed in Sicily. Organic cane sugar & organic wheat alcohol are used for the base. A vivid orange hue and vibrant orange aroma. Bright and bold with a bittersweet taste and a zesty bite. Arancino is an essential, versatile liqueur– superb in cocktail recipes, refreshing after a meal and lovely when drizzled over gelato. Add to sparkling wine on the rocks and garnish with skinny blood orange wheels.